Home Uncategorized	Bari-Uma Ramen BGC: Super Tasty Ramen from Hiroshima! Bari-Uma Ramen BGC: Super Tasty Ramen from Hiroshima! 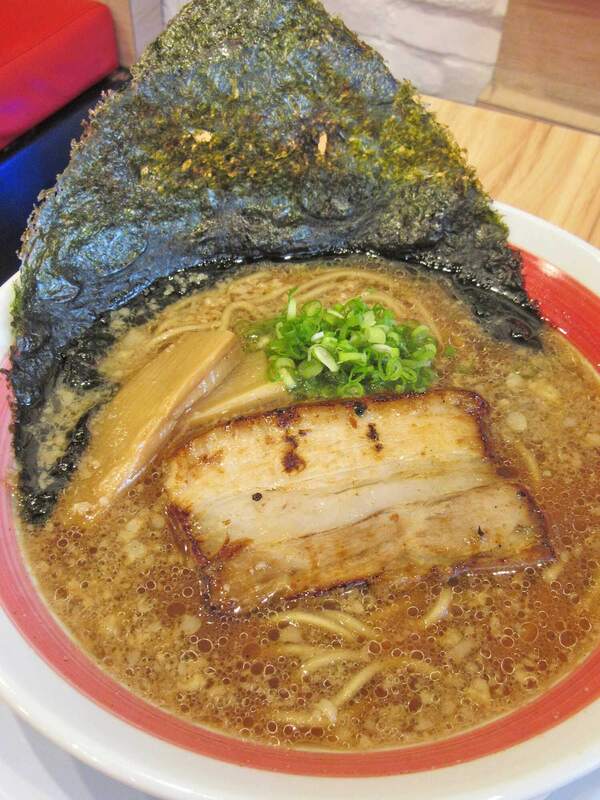 It’s been a good few years since Ramen has been introduced in the Philippines. And since then, hungry Juans have turned to it as comfort food. For one simple reason: ramen, as a dish, is rich, flavorful, and filling. 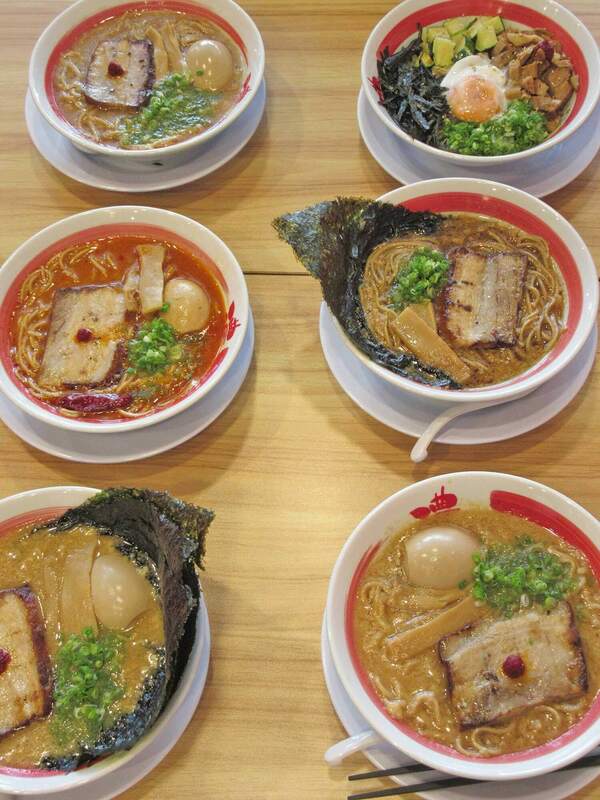 And we are tickled pink as a new Ramen Bar has set foot in the Philippines to cure our ramen cravings. 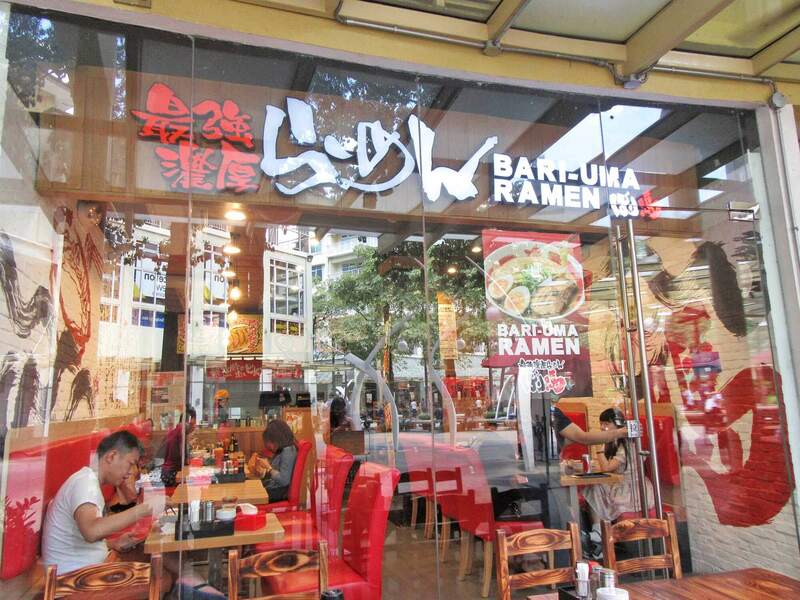 Dubbed as the “Strongest Tonkotsu Soup” from Japan, say hello to Bari-Uma Ramen BGC! 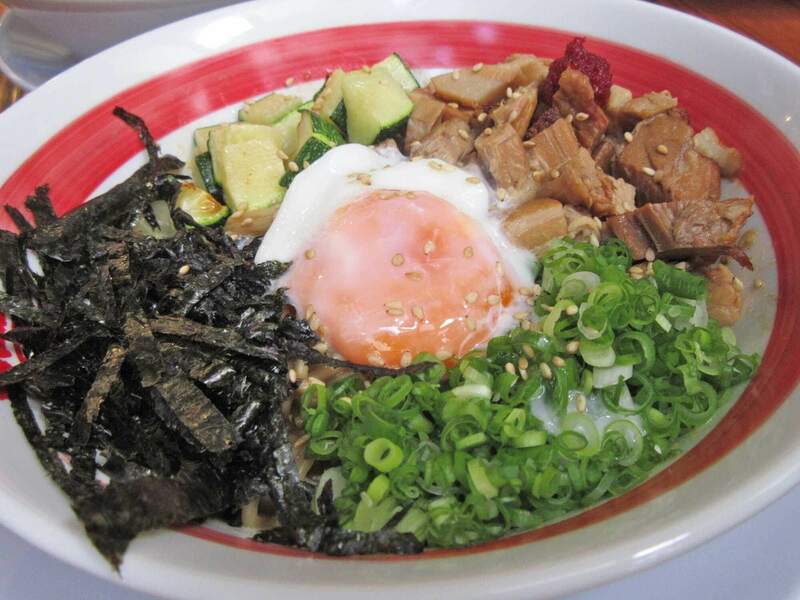 Literally translated as Super (Bari) Tasty (Uma), Bari-Uma Ramen was established in 2003 in Hiroshima. 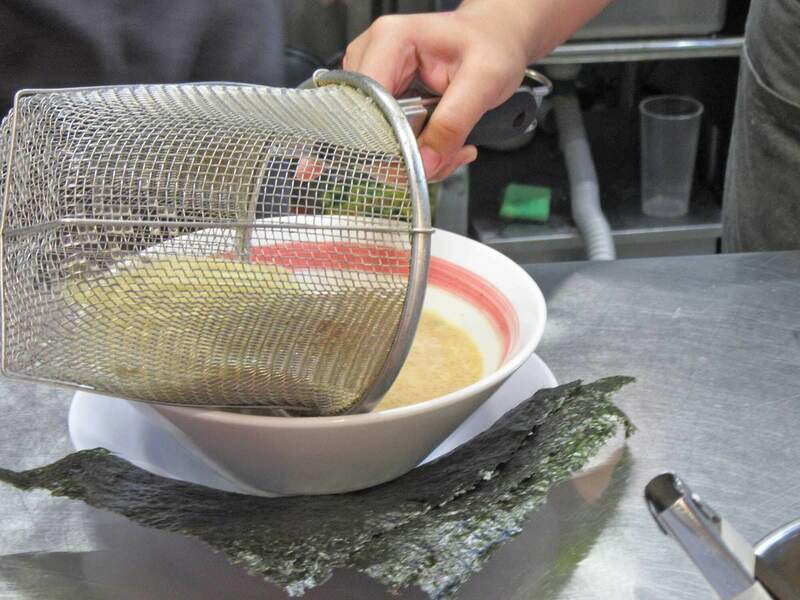 And since then, they have continuously refined the taste of their ramen, until they have the perfected the flavor that is loved by many persons all across Japan and Asia. 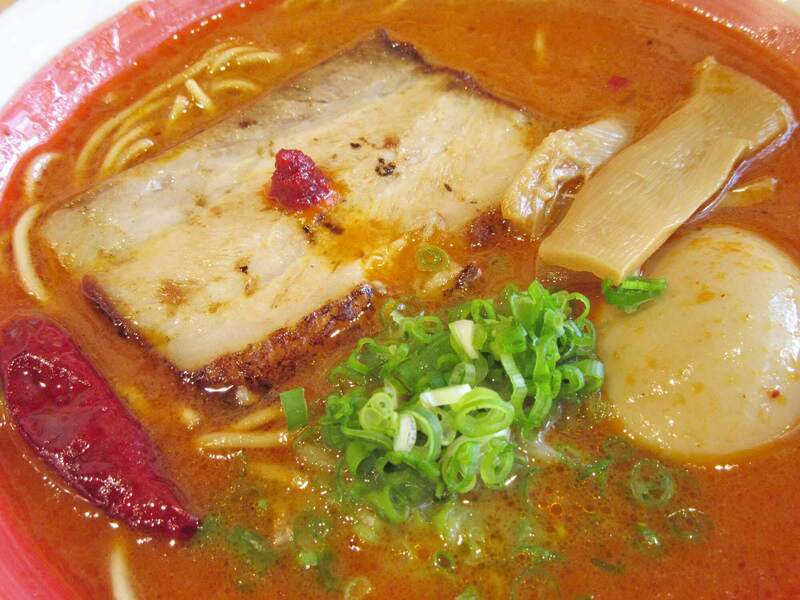 So what exactly sets Bari-Uma Ramen apart? Well, for one, Bari-Uma’s soups are imported directly from Japan while the noodles are made fresh daily in each shop. And the meat? Bari Uma’s char-siu pork is grilled to perfection, making their ramen extra tasty and extra crave worthy. Have you seen that tasty video on how dumplings are made all throughout Asia? 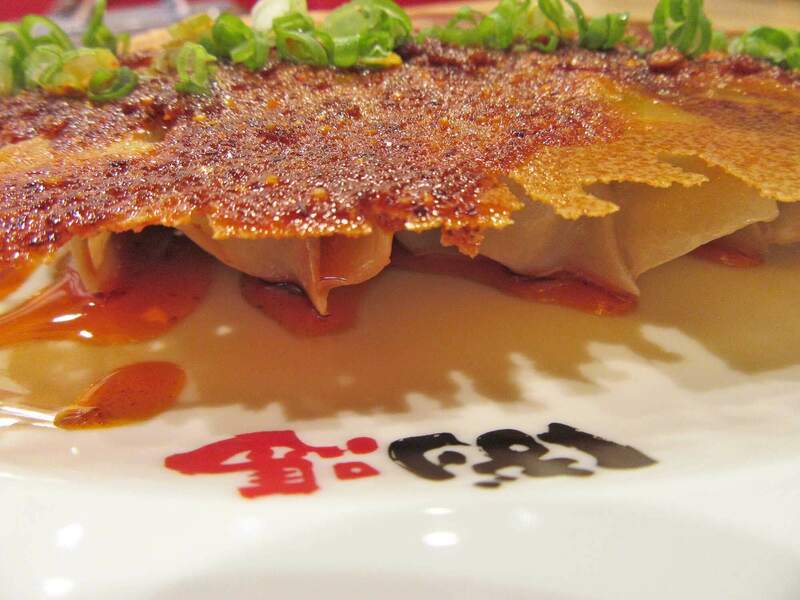 Well, one particular clip caught my attention: the crispy gyoza from Japan. And finally, we were able to try one in person! And let me tell you this: it’s life-changing. Outside, a thin layer of flour and potato starch fried to a golden brown. Giving it a tasty and crunchy flavor and texture. And inside, a soft and well-seasoned filling to compliment. Available in 2 order sizes: 5 pcs (Php 180.00) and 10 pcs (Php 340.00). Add some drops of shoyu to make it extra fragrant and amp the taste! Also available in spicy, teriyaki, and age-mayo-salad flavors. Want a winner winner, chicken dinner? 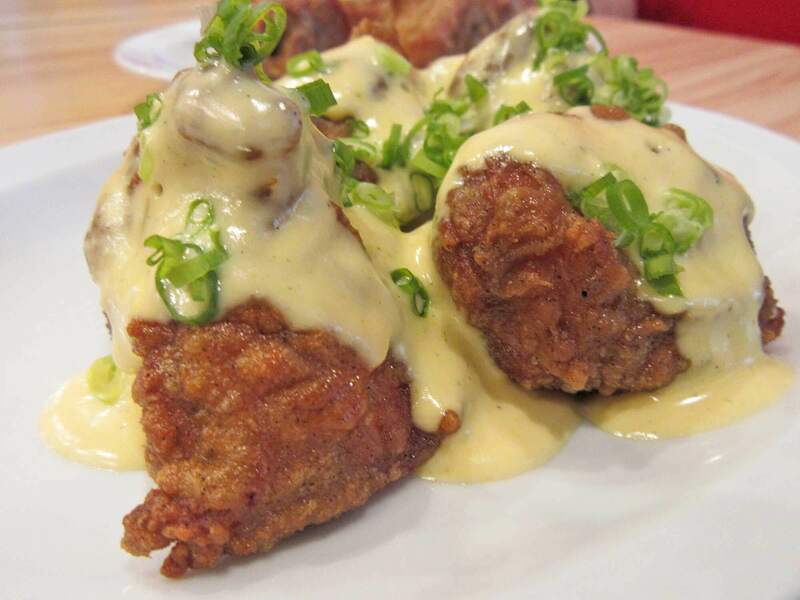 Come try the chicken karaage from Bari-Uma BGC. Karaage is basically chicken breast marinated in garlic, shoyu, vinegar and black pepper. It’s so juicy and tasty, no need for dip! A little pricey but worth it. Original karaage is priced at Php 180.00 (4 pcs) and Php 340.00 (8 pcs). Also available in spicy, teriyaki, and tartar flavors. Big fan of barbecue? 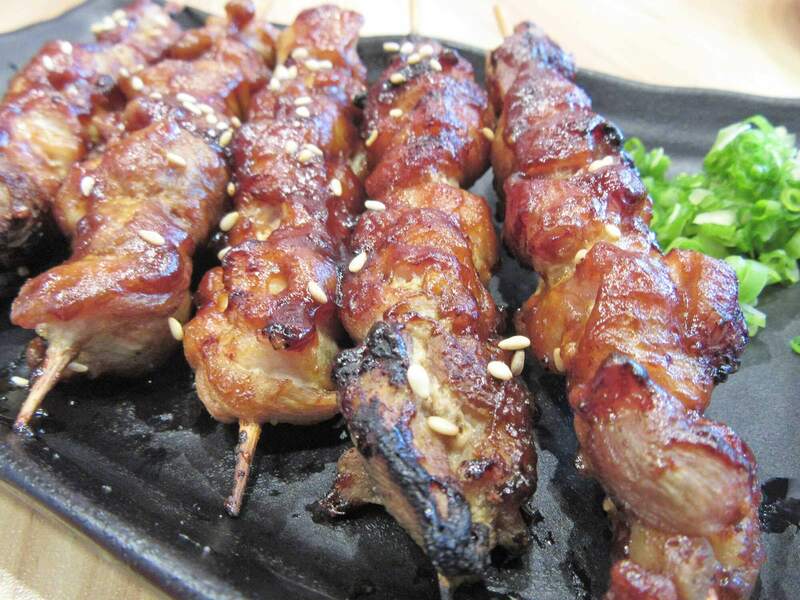 Then go and chow on Bari-Uma’s authentic Japanese Yakitoris. 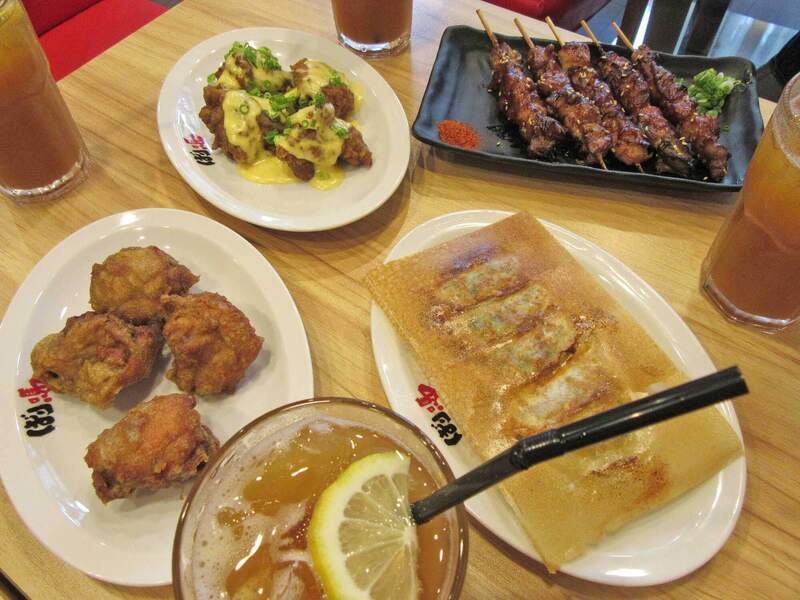 We tried their Yakitori Combo (Php 230.00, 5 sticks) and it was a delicious medley of chicken and pork. Flavorful and tender. Also available in portions of 2 sticks at just Php 99.00! Finally, the highlight of our lunch: Bari-Uma Ramen. Hot, thick, and rich pork flavored soup. Served with grilled thick-cut chashu. 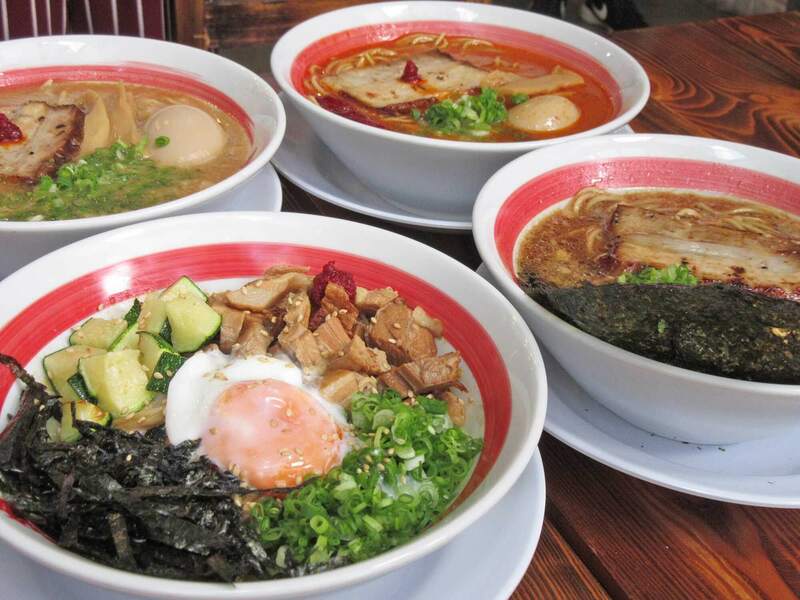 I honestly enjoyed all bowls but my personal favorites would have to be the Ajitama-Uma and Kata-Tama Uma (spicy!). Still hungry for Bari-Uma specials? If noodles is not really your thing (although I doubt it won’t be here), go for any of Bari-Uma’s authentic Japanese Pot Rice. They’re delicious and quite filling. And that oozing egg yolk? 18 hours soaking for the egg (orange yolk) in special sauce. YUMMY! With all that delicious, savory food, refreshments is definitely a good idea! Go classic with Bari-Uma Ramen’s Bestseller House Blend Iced Tea. Sweet, tangy, all around refreshing! 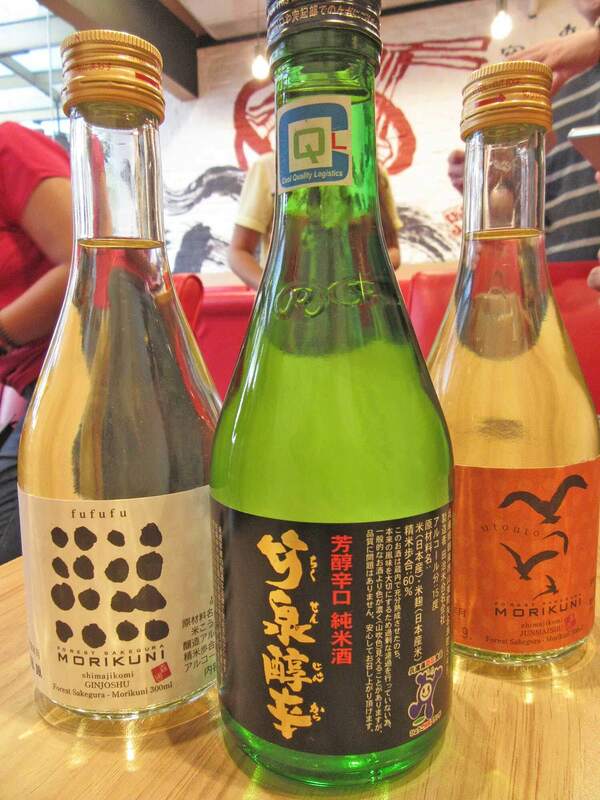 Or go all out and do Sake (Rice Wine) or Japanese Beer! Bari-Uma Ramen BGC serves Yamada Nishiki Sake at Php 490.00, Kirin Beer for Php 140.00, and UtuUto/Fufu Premium Sake at Php 1,500.00 per bottle. Overall, we enjoyed our first dining experience at Bari-Uma Ramen BGC. 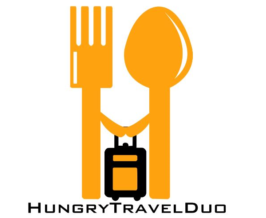 Food is good and authentic and staff were really friendly. It’s perhaps noteworthy that there were Japanese diners when we came, meaning food is really Jap-OK! I just wished the place was bigger to accommodate more guests. Otherwise, can’t wait to be back for their authentic Japanese food! For more updates, follow Bari-Uma Ramen BGC on Facebook.